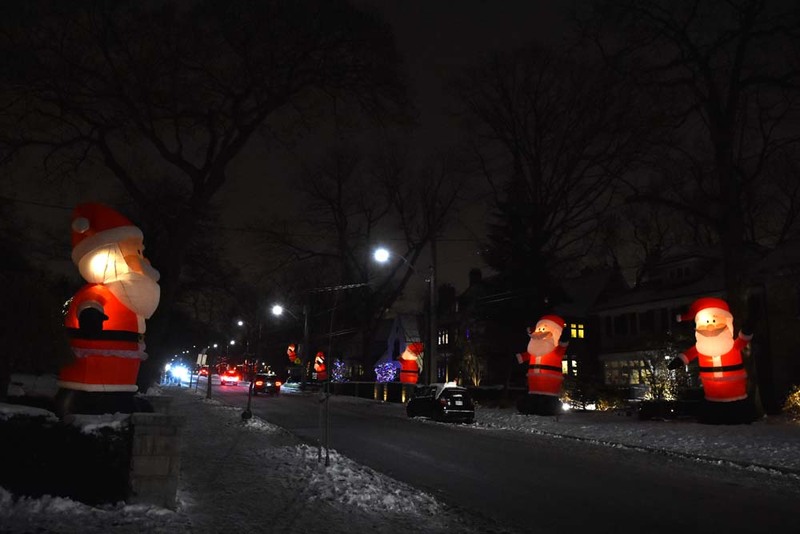 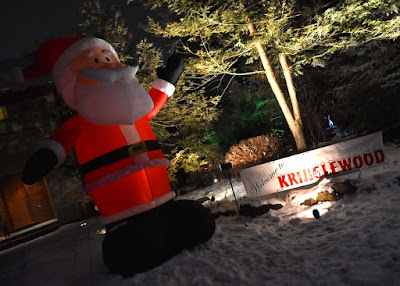 Feel the love in one of Toronto's most festive neighbourhoods as dozens of Kris Kringles decorate the lawns along Inglewood Drive. 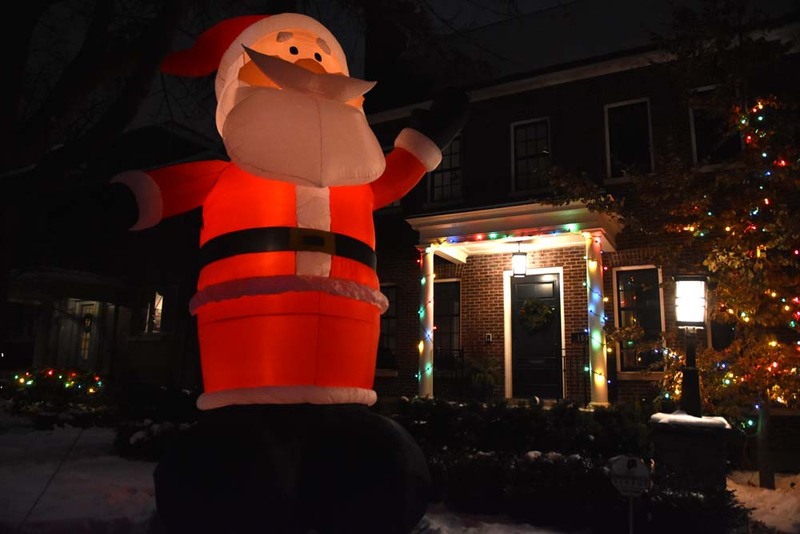 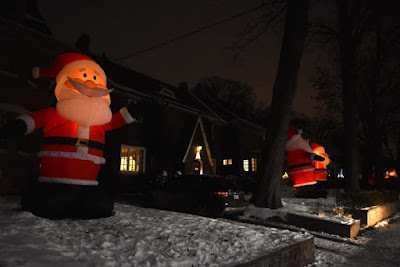 Starting as the brainchild of one resident in 2013, the oversize, blow up Christmas figures popped at several homes and continues to grow each year. Many have lights inside and the effect is magnificent when you stare down the road and see the about 50 fourteen foot Santas. Several homes in the area off of Inglewood have also got into the spirit of the season and have put up more of the Santa Claus blow-ups, or have put their own spin on the idea with moose and snowmen. You can see Kringlewood on Inglewood Road, east of Mt Pleasant Road. 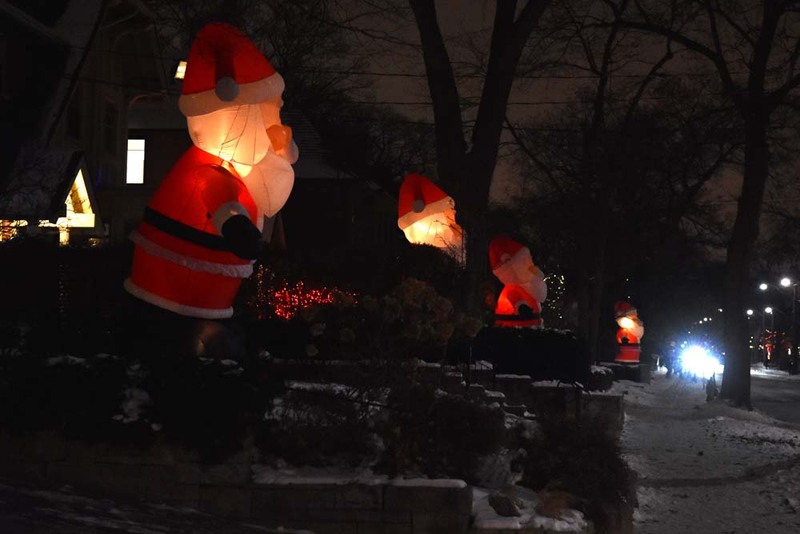 Each of these bad boys cost about $250 at Canadian Tire.